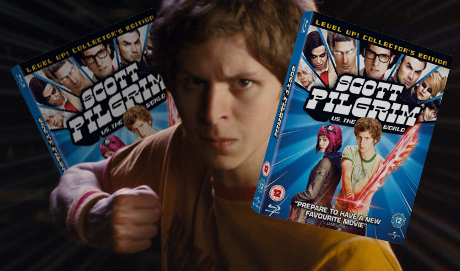 It was a few months ago so I can’t be certain, but I think I may have mentioned Scott Pilgrim vs. The World a couple of times when it came out back in August. Well now it’s hit Blu-ray and (spoiler alert) it’s still amazing. So there you have. It goes without saying that you need to go out and invest your money in this wonderful product. 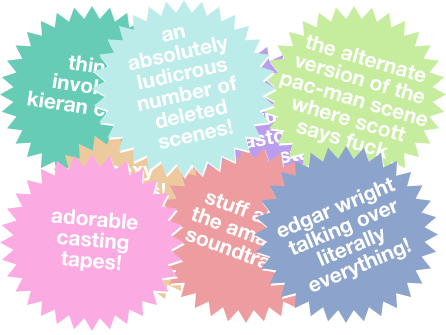 And even though it’s sold out, why not try and blag yourself a ticket to the exciting screening and Q&A at the Ritzy this Thursday, hosted by friend of Ultra Culture, Sam Clements? It’s going to be amazing.